It was a busy day in the week about 16 or 17 years ago. Emails were still clunky communication channels, which was good because the voicemail I was listening to carried all the emotions we miss in typescript. She was scared, she said. Having a hard time breathing. After a treatment program. Meditation. Mindfulness. Please call. Back then, I wasn’t a fan of mindfulness-based programs – a seemingly new-fangled, somewhat New-Age-ish approach to treating mental health difficulties. There was little research to support it as a psychological treatment and, what seemed to me, a whole lot of blind enthusiasm for it. As a long-time meditator, I was also resistant to the idea of bringing something that was clearly a spiritual practice into a healthcare field with its clear rules against imposing religious or personal spiritual practices on our patients/clients. When I met with the caller, I was ready for a story of incompetence and cult-like indoctrination by the people offering the program. It wasn’t that simple. 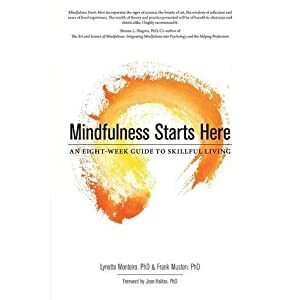 The mindfulness program had been offered by someone with current training (training is very different now) and the meditations were within the range of what any professional trained in psychological approaches would use as relaxation response or calming breath strategies. And yet, the program had triggered something very distressing for her. From the first day of the program and until she left abruptly, she experienced panic attacks, a sense of being separate from the immediate environment, disembodied, and had nightmares. She didn’t inform the facilitator nor had there been any follow-up when she stopped attending the classes. When I asked, she described having been told in the second class, during a homework review when she disclosed her reaction to the Body Scan, that she simply had to “stay with it”. There were reassurances that “it will pass” and “just sitting with it” would resolve the feelings of anxiety. This initial case became one of many over the years. Buddhist practitioners who had gone to silent retreats, mindfulness-seekers attending 8-week programs or short intense versions of the same, long-term meditators who suddenly found themselves in whirlpools of distressing emotional and physical experiences. They spoke of feeling like failures in their spiritual practices; angry and betrayed that something intended to relieve psychological distress had caused more suffering. They all had one question: Why were they not warned? Why is knowing about adverse psychological experiences (APEs) important? Here are five reasons. Reason 1: It’s not new. That spiritual practices can lead to distress has been known for as long as spiritual practices have been around. My colleague, Jane Compson¹, discussed the different ways spiritual practitioners view these periods of intense distress. (A) psychiatrist trained in Western allopathic medicine may judge that the distress is symptomatic of mental illness exacerbated by meditation, and suggest that the person stop meditating. A Buddhist teacher, on the other hand, may understand the distress as a sign that the meditator is progressing through stages of insight towards liberation of suffering, and suggest more meditation or auxiliary practices as a way of moving through this stage. She calls for a greater awareness of these APEs because their potential for harming the individual practitioner raises ethical issues of whether and how to offer meditation practices in any setting, spiritual or secular. Reason 2: It can happen independently of experience or context. More than a quarter (29%) of practitioners first encountered challenges within their first year of practice, almost one half (45%) between 1±10 years of practice, and one quarter (25%) after more than 10 years of practice. Challenges occurred during or immediately following a retreat for 43 practitioners (72%). The other 17 practitioners (28%) reported challenging experiences in the context of daily practice. About three-quarters (72%) of participants were regularly practicing within a meditation community or were working with a teacher (75%) when challenging experiences arose. …a number of participants also reported challenging or difficult experiences under similar conditions as MBIs, that is: in the context of daily practice; while meditating less than 1 hour per day, or within the first 50 hours of practice; and with an aim of health, well-being or stress-reduction. Some types of practice associated with challenging meditation experiences were in many cases not dissimilar from the primary components of MBIs. More relevant to our discussion here, in Lindahl’s study 32% had a psychiatric history and 43% had a trauma history. They are careful to indicate that prior histories are not necessarily predictive or considered risk factors. At the same time, we know enough about the way psychological challenges, in particular, trauma, are processed that some caution is advisable. This is where things get really complicated. Many of us may not know that or don’t see ourselves as having experienced trauma. While I do get irritated when some authors equate the “trauma” of burnt toast to the level of aversive childhood experiences (ACEs) that lead to significant debilitation in adulthood, trauma is an historic reality for many of us. The challenge is when we are so functional that we, ourselves, no longer view our history as “traumatic”. We may well have rebounded from it in healthy ways and feel it is something in our past. But the body knows the trauma differently. This is where being trauma-informed as a mindfulness therapist and as a mindfulness consumer is very important. The following three questions may help to be trauma-informed and know if the program you are considering is trauma-sensitive. Question 1: Is the program trauma-sensitive? This is actually a pre-program question. Ask the facilitators if they are informed of the potential challenges someone with trauma may encounter. Practices such as the Body Scan can evoke reactions if the participant has a history of physical or sexual abuse. Meditations that drop into deep relaxation and open the field of awareness can be anxiety-provoking. What are the facilitators’ approaches should this happen – in the classroom or between classes? Question 2: What do certain terms mean? “Just sit with it” or “turn towards the distress” are typical suggestions when participants are feeling distressing sensations or emotions. For the most part, they are acceptable suggestions or invitations to develop distress tolerance. However, if the distress escalates quickly or becomes too intense, these are not the best first line of practice. Ask for clarity and expect responses that are in everyday language. Question 3: What practices are being taught to help when APEs occur? Every program is different however there should be a component of grounding practices, resetting the physiology (using the breath), and/or adaptations to typical approaches in meditation. Can you open your eyes if things get activating internally? Can you stand, step out of the room and return, or care for yourself in some way that respects your needs and those of other participants? Can you meet with the facilitator after the class or, if you need to, during the week? Mindfulness programs can be very helpful and life-changing. Our role as facilitators is to ensure that these practices can change your life in the right direction. Our role as participant is to feel safe and supported as we go along this path of practice. Previous February is Psychology Month: Who needs psychotherapy?